I believe customers buy from salespeople they respect and trust. And in the best-case customers like dealing with “their” salesperson. Those relationships are developed over time. Depending on the business it could be a short time or a long time. I like buying from Carolyn at the local jewelry store. I first met her when shopping for diamond earrings for my wife’s Christmas present. Carolyn asked me questions about my wife’s style. During the conversation she asked also about me. The usual questions of where we lived, what kind of work I did, the fun things we liked to do. During this sales conversation we discovered mutual friends. All of this built trust and respect with Carolyn. I felt she would help me make a good choice of earrings. This sales conversation took about an hour. I sold custom fabricated metal architectural work to the construction industry. These were sales with long lead times and because the products are unique and sophisticated were high-risk purchases for the construction company. Until the architect had completed the drawings no one knew what the architectural feature was. So it didn’t make sense to pitch a product with a presentation. I used open-ended questions about the customer’s business, current projects, competitive vendors and questions to get to know them personally. This process over many meetings created mutual respect and trust. Once the architectural drawings were complete I asked project specific questions gathering the facts I needed in a non-threatening way to win the work. We humans are social animals. We like to talk and we really like to talk about ourselves. The best salespeople know what they need to understand about a customer to close an order and they know how to gather that information. Their sales conversations are tailored to learn critical facts from the customer. Before prospects will share hard facts about the problems they have or purchases they need to make, they need to trust the salesperson. So the questions to ask first are the easy answer ones to get the customer talking about himself or herself. Questions about their role in the company, and perhaps a few non-invasive personal questions to find some common interests. Once you establish some rapport with the customer then begin to ask those questions to help identify the problem they have you can solve. By asking enough of the right questions for your particular product or service, you will find out how to present your solution in a way to win the order. Practice. 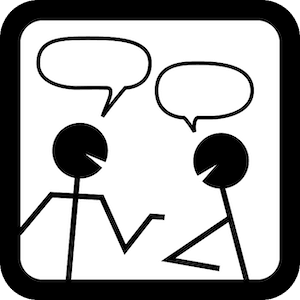 The more conversations you have the better you become. Until you become expert, script every sales call. Write down the 10 most important questions you hope to have answered. Don’t plan to ask them as if you were a cop interviewing a suspect. Ask them in the course of a conversation in a way that feels comfortable to the prospect. Chances are you won’t get answers to all 10. That’s OK. Critique your sales conversation. Note what went well and what you could do differently the next time. Over time your sales conversations will come naturally. 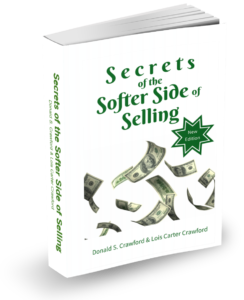 To learn more sales secrets see Chapter Nine, Building Rapport, in Secrets of the Softer Side of Selling. For even more sales help, join our FREE Sales Club! “See” you next week.